The Husky Floor Liners form-fit design and raised containment walls will help keep your carpet clean even in the worst weather conditions. Fluid containment ribs and treads channel messes away from your shoes. 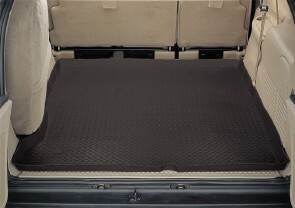 This unique design keeps mud, snow, water and debris off your vehicle's expensive, hard to clean carpet. 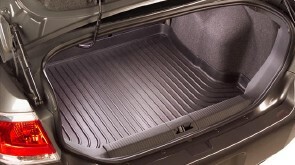 Husky Floor Liners incorporate key elements from your vehicle's interior, giving your Floor Liner a customized look and feel. 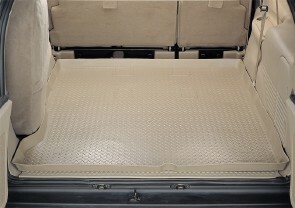 The patented "Form-fit Edge" at the door thresholds contain debris and allow for easy vehicle entry and exit.